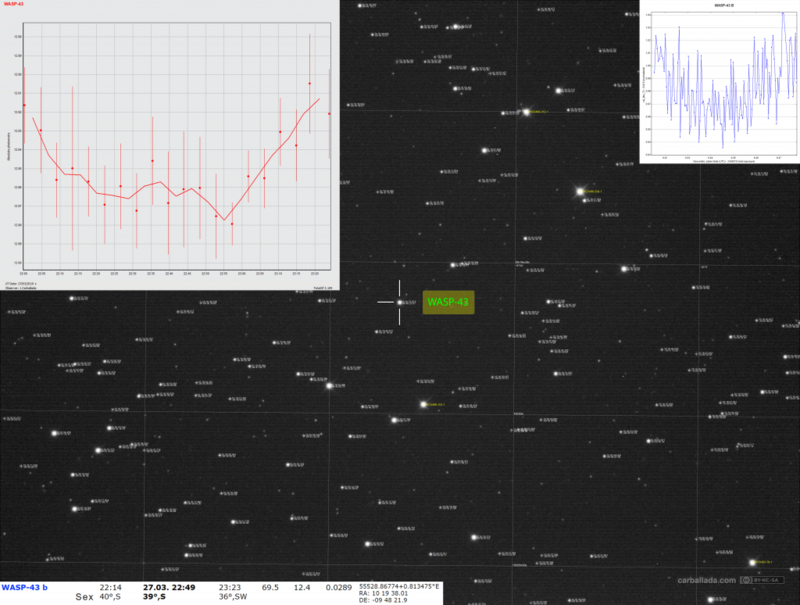 That’s my first exoplanet transit that I registered. WASP-43b is a transiting planet in orbit around the young, active, and low-mass star WASP-43 in the constellation Sextans. The planet is a Hot Jupiter with a mass twice that of Jupiter, but with a roughly equal radius. WASP-43b had an orbital period of approximately 0.8 days (19.2 hours).WASP-43 is a K-type star in the Sextans constellation that is about 80 parsecs (261 light years) away. The star has a mass of 0.58 times that of the Sun.